Locations: To be Determined, . While Drexel offers a vast range of study abroad options, there may not be a program that suits every student's particular needs or objectives. 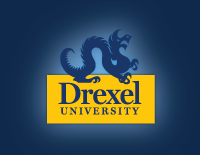 Students who have not identified a suitable Drexel sponsored program can consider the Independent Study Abroad option. Because independent study abroad has different financial and academic policies, it is important to review the Independent Study Abroad Guide (Non Drexel Sponsored) as well as reviewing the Independent Study Abroad webpage. Once students have narrowed down their independent study abroad preferences, they should schedule an appointment by emailing studyabroad@drexel.edu.